The founder of one of Melbourne's newest breweries first discovered a love for brewing in a place few could claim to have found theirs: the kitchen of an Israeli boarding school. Ze'ev Meltzer, founder of Collins St Brewing Co, which launched with Once Bitter, first tried his hand at brewing as a teenager when he and a few boarding school buddies decided there was some fun to be had behind the teachers' backs. 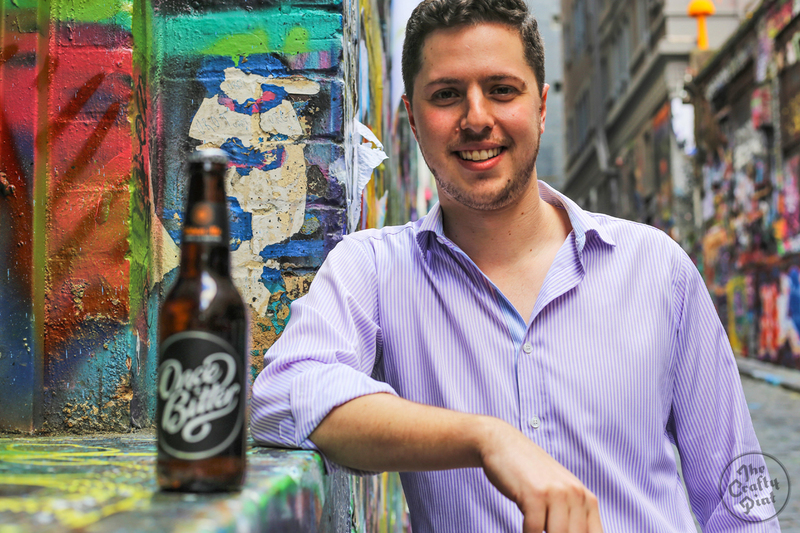 Now, after a few years behind a desk, he has struck out on his own to bring his vision of a craft beer for the young business person to life. As part of our ongoing Who Brews? series, we hear from Ze'ev about the influence behind the Once Bitter name, what's in his fridge and his hopes for the brewery in the years to come. Collins St Brewing is my brainchild but it’s been a long time coming. My beer journey started before I really should have been drinking beer. My parents sent me to a religious boarding school in Israel and, because of a lack of other things to do, we decided it would be a good idea to use the school kitchen to brew beer. That’s where it all started. It was me and three mates who would break into the school kitchen on a Thursday night to brew our beer. These days, it’s me and my brother alongside a brewer who works with us on recipes and development. We brew out at Southern Bay and work with the team there. Our hope is in time that we’ll be able to expand into our own premises. There are so many incredible brewers and breweries out there especially in Melbourne. I wanted to create something that was a little left of centre and wasn’t quite what everybody else was doing. I recognised that there was a gap in the market for what had been my own demographic at the time. You’ve got these young, aspirational corporate individuals who right now might be drinking an Asahi or Peroni. They’re looking for something that’s premium – something that stands out and says something about them. There was no locally made, high quality, flavourful product on the market that gave people an alternative to these often bland lagers. 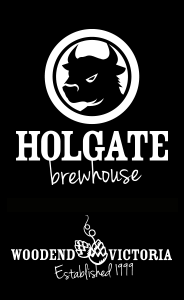 That’s what I wanted to create: a high quality craft beer for that 25 to 35 year old aspirational person that’s really looking for something offering a little bit more than your average import beer. 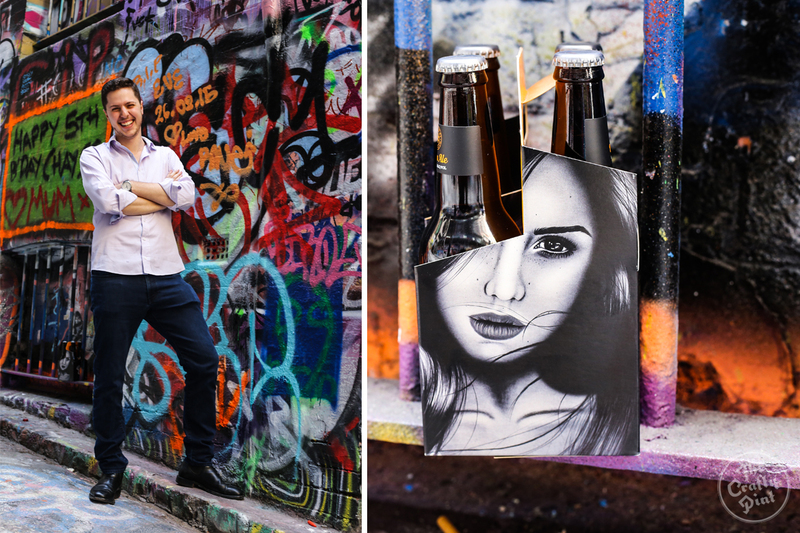 Ze'ev Meltzer of Once Bitter, and the street art inspired packaging in which he beer is presented. We knew the story of the beer was the story of my life – in a way, going from big to small. It was about the journey from macro brewery to craft beer. From corporate life to brewing life. We tried to find a way to get that message across and realised it’s summed up in Melbourne laneways. Fitting creativity, colour and energy in among huge city skyscrapers. There might be people in suits all around, but in those graffiti covered laneways you can find the real Melbourne. We were searching through mood boards and images of Melbourne and all sorts, and saw this picture in Hosier Lane of some street art that said Once Bitter. That was it. We had found it. After I returned from Israel, I came back to Australia for the rest of my schooling, including completing a Masters of Finance at university. I spent two and a half years working in investment banking, but got to the point where I felt like I needed to do something I was truly passionate about, something I’d be excited about every day. The one consistent thing in my life that I’d always been passionate about was brewing. That’s where it all started. So, after talking it through with my mum, she simply said: "Why don’t you brew beer then?" Now here I am. I’ve got quite a few at the moment. Notably, there’s a Fuller’s ESB, an Anderson Valley Gin and Tonic Gose, some sours from New Zealand, and some Boon as well. I reckon it would have to be Once Bitter. Ze'ev in Hosier Lane - the laneway that started it all. My hope is that we’re making plenty of beer. Our intention is to bring out a variety of beers under the Once Bitter banner, focused on sessionability and easy drinking. I’m also keen to explore a secondary range of beers that will be limited releases under a separate name. 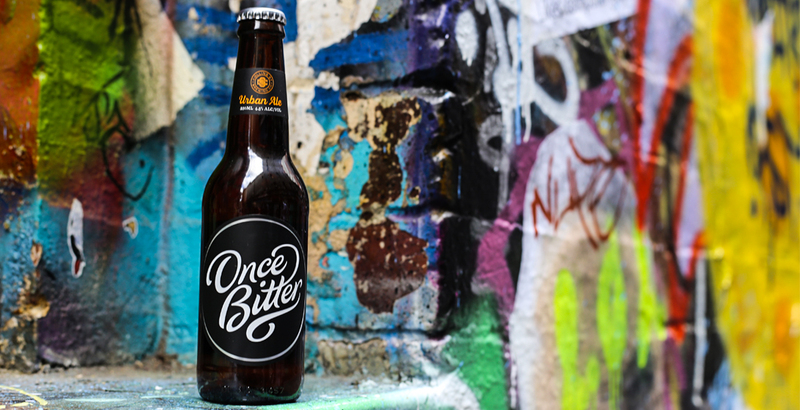 They’ll be challenging, varied in style, and offer up something at the other end of the scale from our Urban Ale. In ten years time, I hope there’ll be plenty of them. I’m not in this game to make money, I just want to still be selling my beer and sharing the story of this passion that I’ve had since I was a teenager. I don’t want to go back to corporate life, I want to be living a life where I can make people happy by putting a good beer in their hand. 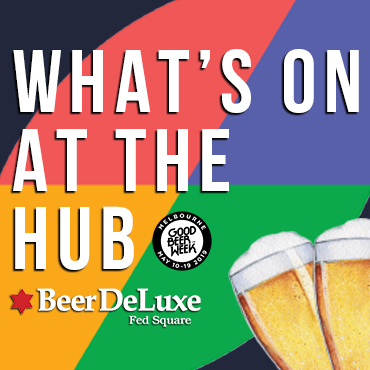 We’ve got tap points across Melbourne city and the inner suburbs, including Cookie, Bartronica, The Smith in Prahran and The Workers Club in Fitzroy. And hopefully more to come! You can view other Who Brews? features here.